The Association for Sensors and Measurement (AMA) invites researchers and developers to compete for the renowned AMA Innovation Award for 2019. The AMA is looking for research and development results in sensor and measuring technology. The submission deadline is 31 January 2019. Individuals or developer teams may submit innovative research and development projects that have a clear market relevance. The renowned AMA Innovation Award is endowed with 10,000 euros. Young enterprises that have been on the market no longer than five years, have no more than 50 employees, and an annual turnover of less than 10 million euros, may compete for the special Young Enterprise Award. The winner in this category will receive a trade-fair stand at the SENSOR+TEST 2019 free of charge. 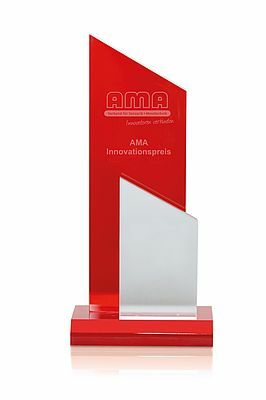 The AMA Innovation Award has been presented for 19 years to innovative individuals in sensors and measurement. It goes to the developers themselves, not their institutes or enterprises. The jury comprises representatives from universities, institutes, and enterprises. The jury members especially consider novel approaches, the general scientific achievement, as well as the project’s chances on the market. The conditions for participation and submission forms for the AMA Innovation Award 2019 and the special category Young Enterprises as well as brochures of submissions from previous years can be obtained free of charge. The deadline for submissions is 31 January 2019. The winners of the AMA Innovation Award 2019 will be presented at the opening ceremony of the SENSOR+TEST on 25 June 2019 in Nuremberg.